Phnom Penh (VNA) – The Cambodian Ministry of Tourism and Thailand’s Rajamangala University of Technology Thanyaburi on March 7 inked a Memorandum of Understanding on building a tourism institute in Siem Reap, Cambodia. Speaking to reporters after the signing ceremony, Cambodian Tourism Minister Thong Khon said that the institute will help develop human resources, ensuring sustainable tourism development in Cambodia. Meanwhile, Prasert Pinpathomrat, president of the Thai university, said that the cooperation will help promote tourism ties between the two countries. 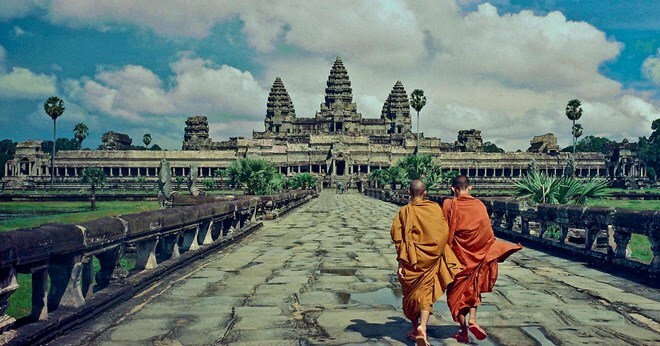 Tourism is one of four pillars of Cambodia’s economy. Cambodian Prime Minister Samdech Hun Sen said that the country attracted 5 million foreign visitors in 2016, generating gross revenue of 3.4 billion USD. He forecasted that his country will gain revenue of 5 billion USD by welcoming 7 million international holiday makers in 2020.